Fixed point theory has fascinated many researchers since 1922 with the celebrated Banach’s fixed point theorem. There exist a fast literature on the topic and this is a very active field of research at present (See [1-7]). We shall write to indicate but while implies int denotes the interior of . Then is cone distance on is called a cone metric space. 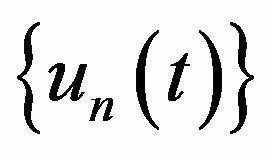 It is obvious that cone metric space generalize the metric spaces. Then the sequence is a Cauchy sequence in . In recent years, the fixed point theory and application has rapidly development. Huang and Zhang  introduced the concept of a cone metric space that a element in Banach space equipped with a cone which induces a nature order partial order. 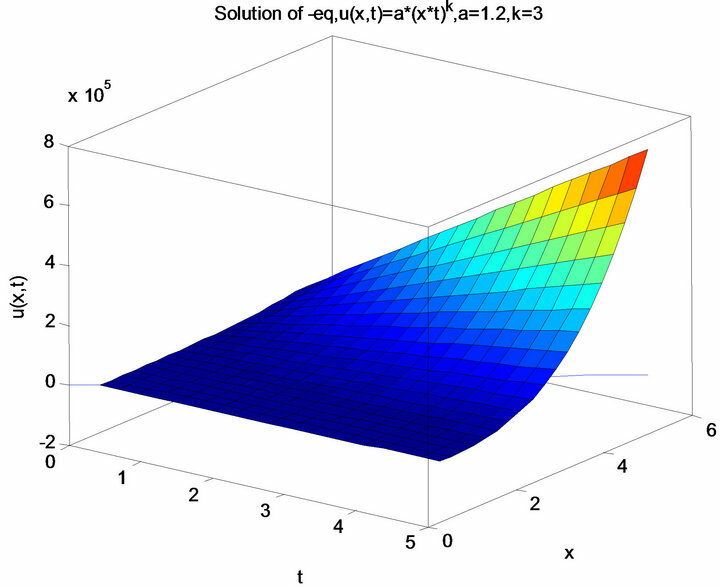 In the same work, they investigated the convergence and that inequality and they extend the contractive principle to in partial order set s with some applications to matrix equations and common solution of integral equations. 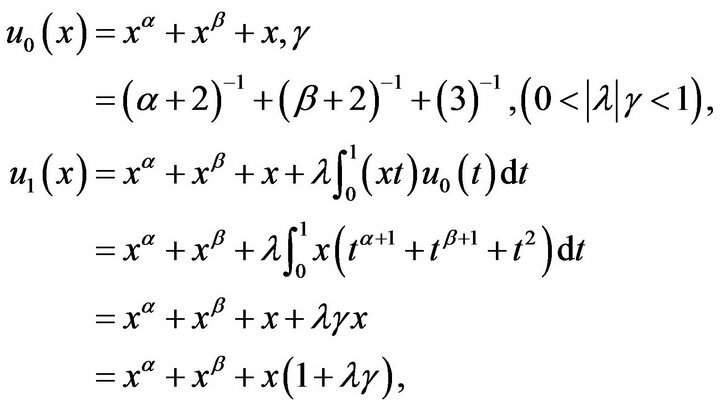 Such theorems are very important tools for proving the existence and eventually the uniqueness of the solutions to various mathematical models (integral and partial differential equations, variations inequalities etc.). First, we state following some extend conclusion ([3, 4]). 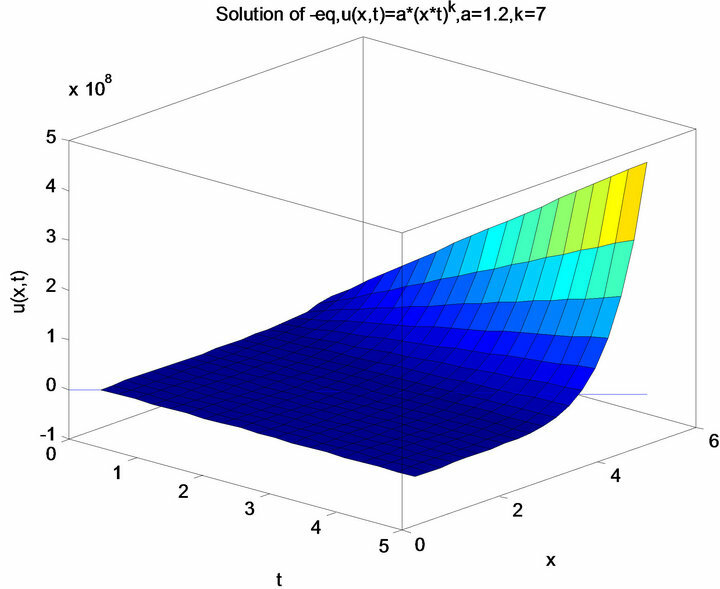 Next, authors consider the variation iterative method to some integral and differential equations, and effective method ([5-8]) for examples and numerical test as some Fig case. 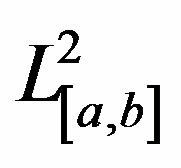 Now we first give common fixed point Theorem in similar method for two operators to extend Theorem 2.1  with one operator case. Assume that be a complete cone metric space. for each where is a constant Then has a unique common fixed point in And so for any the iterative sequence converges to the fixed point. Corollary 2.2 Let and then we obtain that theorem 2.1 in . In the same way, authors can extend theorem 4 , and omit again these stating. The common fixed point theorems for two operators in cone metric space are given in . By using of needing same definition and as same results in it, we consider fixed point theorem in cone metric space to complete and extending the Theorem 1 in it. 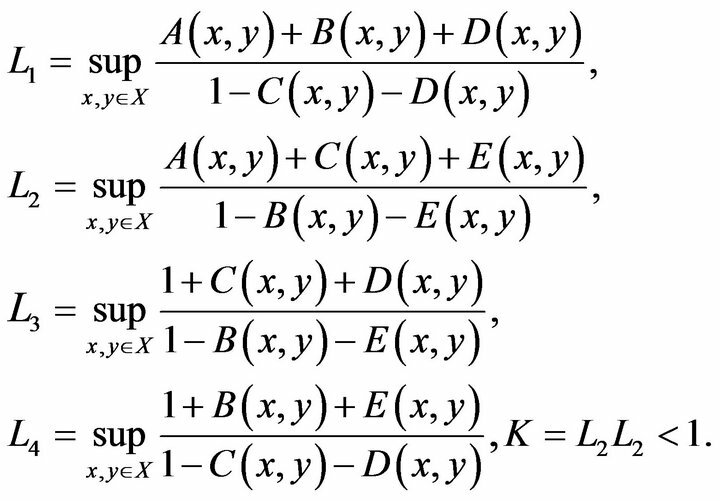 Remark in , the example 2 illustrate this effect of meanings with this Theorem (non-expansion mapping, not contractive case that have uniqueness common fixed point). Look for multiple-value mappings in some case . We can easy note Theorem A. Now we give complete this fixed point problem below. Then there is a unique common fixed point in for . On the other hand, if then clearly, in the same way, we know which a contradiction. 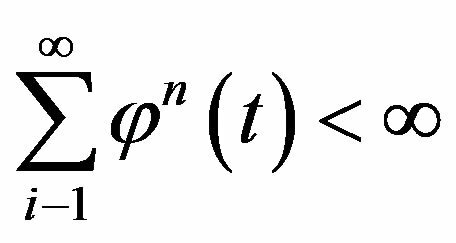 So, we complete the proof of this theorem. Then S have at least number fixed points. Corollary 3.3 Let more positive integer cases in theorem 3.1. Here example 2 in  for non-expansion mappings, also have common fixed point case with important meanings. Many authors have extended the contraction mapping principle in difference direction. 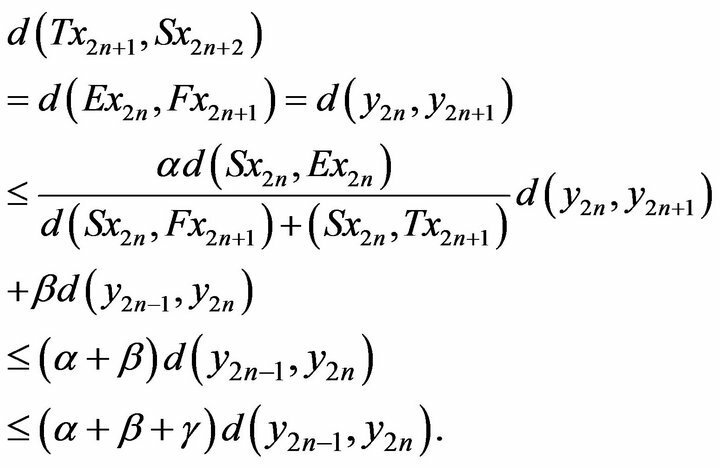 Some extension of Banach’s fixed point theorem through the rational expression form with it’s inequality. The purpose of this section, is to establish some common fixed point theorem for four mappings in this space. Then have a unique common fixed point. Hence, it is well know that is Cauchy sequence. From the is complete, then there exists such that the convergences to in Since and are subsequences of then it will convergence to same point u.
then this implies for common fixed point of . (Uniqueness) Let two points be the difference common fixed point of . A contradiction in the above same reason, then this implies the uniqueness of common fixed point of . (i) As we obtain special case. (ii) (Identity map), we get some special case. Obviously, This completes the proof of theorem 4.2. According the direction of , we give out some coincidence point theorem of maps to extend theorem 2.1 and theorem 2.3 . Now, we can easy obtain following theorems. Since not equality each other, then S have at least number fixed point. This completes the proof. Then this completes the proof. Recently, the variation iteration method (VIM) has been favorably applied to some various kinds of nonlinear problems, for example, fractional differential equations, nonlinear differential equations, nonlinear thermo elasticity elasticity, nonlinear wave equations. Now, for to construct a sequence of Successive iterations that for the for solution of integral Equation . 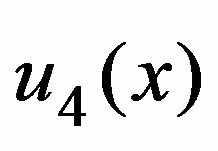 and then if the above iteration converges in the norm of to the solution of integral equation . then assume if the above iteration converges in the norm of to the solution of integral equation . 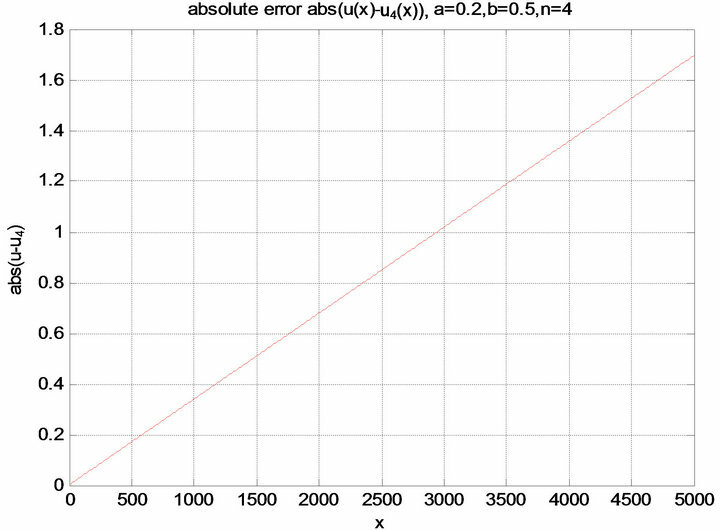 (See Figure 1(b), when n = 4). 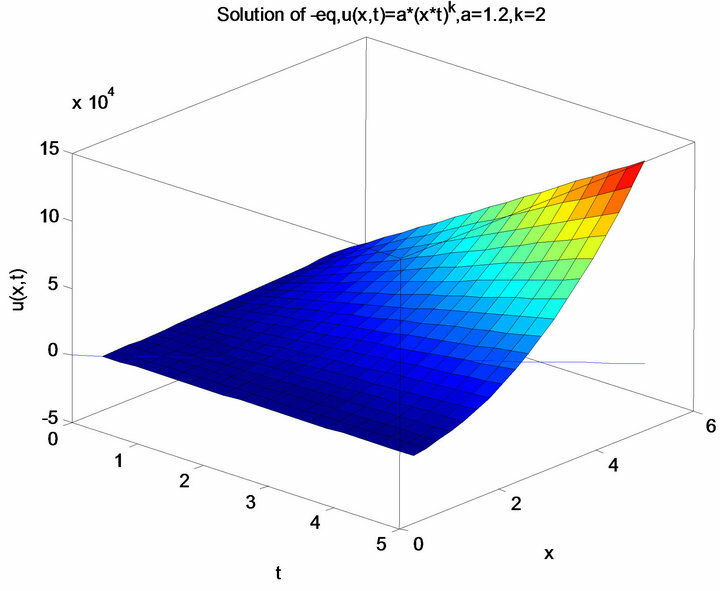 Remark The exact solution and approximate solution of Example 6.4 (See Figure 1(c)). 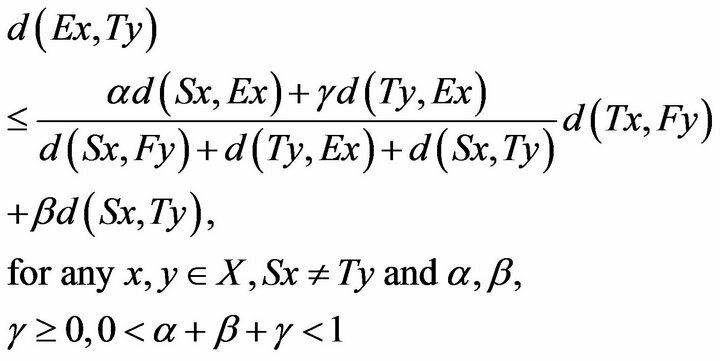 Then the iterative sequence is convergent to the exact solution of the Equation (6.3). 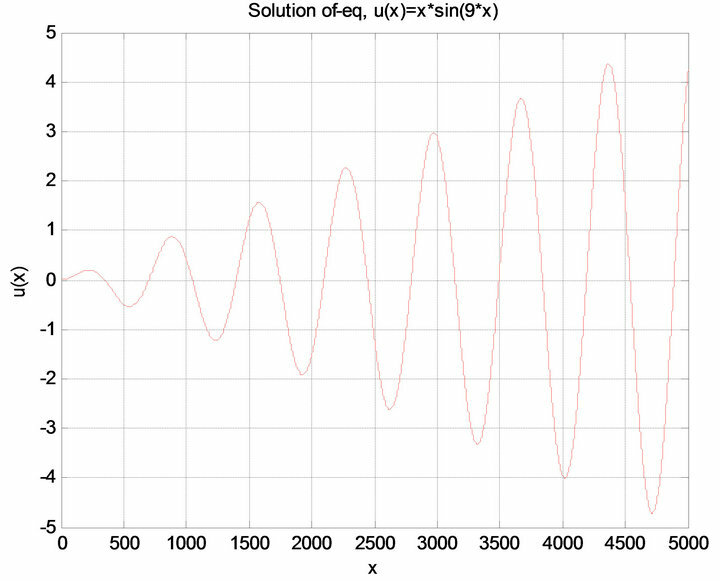 then if the iterative sequence is convergent the solution of Equation (6.3). Figure 1. By Matlab in numerable test. (a) The figure expresses exact solution u(x) for Example 6.4; (b) The figure expresses approximate solution u4(x) for the solution u(x) of Example 6.4; (c) The figure expresses absolute error for Example 6.4.
then if the iterative is convergent the solution of integral equation (6.4) (Similar as examples case in [6, 7]). The variational iteration method (VIM) proposed by Ji-Huan He (see [6-8] recently has been intensively studied by scientists and engineers. the references cited therein) is one of the methods which have received much concern. It is based on the Lagrange multiplier and it merits of simplicity and easy execution. Unlike the traditional numerical methods. Along the direction and technique in [4,8] we may get more examples below. Then is exact solution of (7.1). The numerical results are shown in Figure 2. Similar as example1 in this way, we easy get this solution. And Hence the is the exact solution of (7.2). where In similar example1, we easy have it . Figure 2. 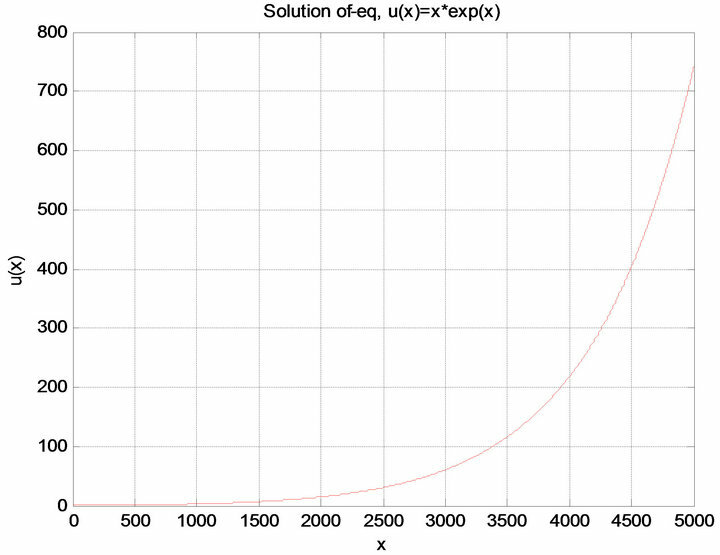 Figures of exact solution u(x) for Example 7.1. Thus, then is the exact solution of (7.3) by only one iteration leads to a solution. The numerical results are shown in Figure 3. Hence, is the exact solution of (7.4) and by only one iteration leads to that exact solution. Taking that is example 2 in . The numerical results are shown in Figure 4. 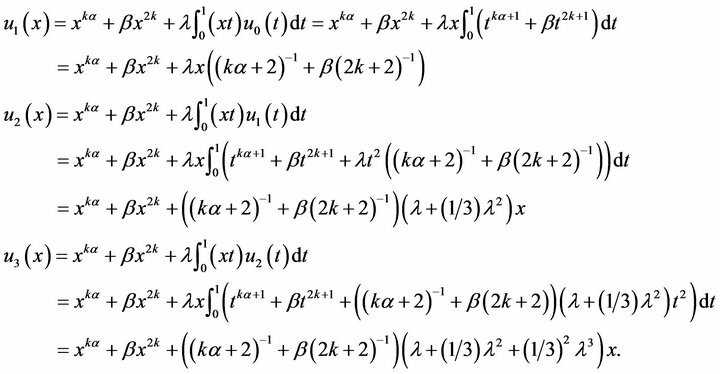 Remark 7.5 Some solving integral-differential equations by VIM may see , and that some random Altman type inequality for fixed point results see . The fixed point results of Multi-value mapping are also discussed in . Figure 3. 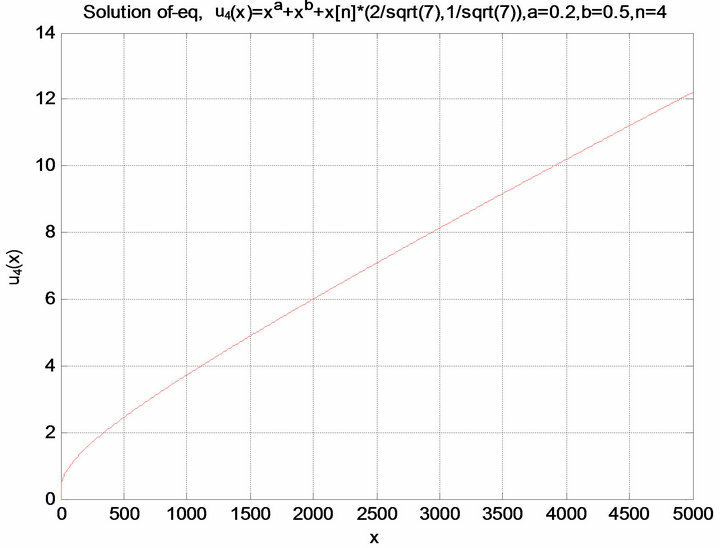 Figures of exact solution u(x) for Example 7.3. Figure 4. 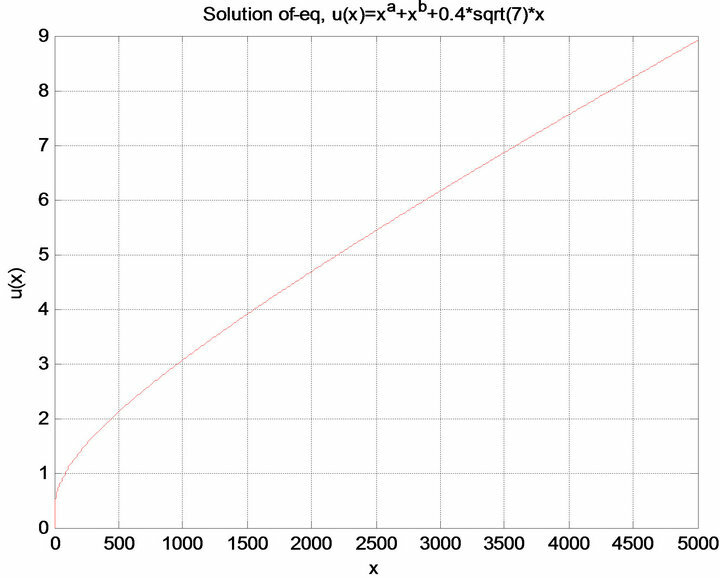 Figures of exact solution u(x) for example 7.4. (where parameters taking as ). Burger’s equation has attracted much attention. The approximation solution for this Burger’s equation is also interesting tasks. 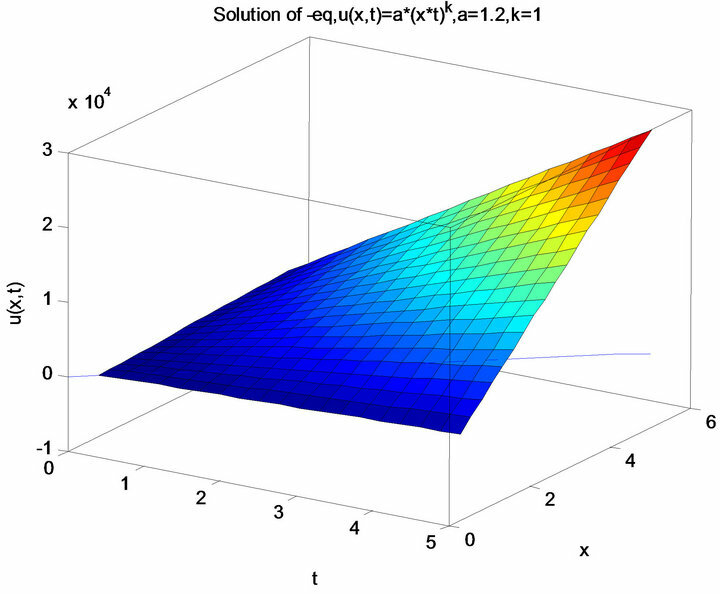 In this Letter, we give out new fixed point theorems in cone metric space and apply the variation iteration method to integral-differential equation, and extend some results in [3,6-8]. 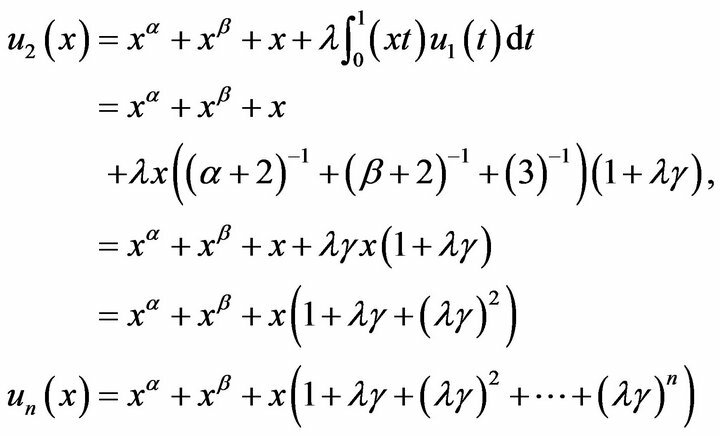 The obtained solution shows the method is also a very convenient and effective for some various non-linear integral and differential equations, only one iteration leads to exact solutions. 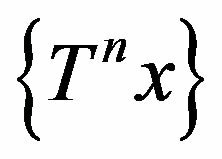 Recently, the impulsive differential delay equation and stochastic schrodinger equation is also a very interesting topic, and may look  etc. This work is supported by the Natural Science Foundation (No.07ZC053) of Sichuan Education Bureau and the key program of Science and Technology Foundation (No.07zx2110) of Southwest University of Science and Technology. The authors would like to thank the reviewers for the useful comments and some more better results.